There’s now one application that combines marketing tools, analytics and growth strategies and it’s from AuthorRise. I first wrote about AuthorRise on Joel Friedlander’s blog, The Book Designer. Since then, AuthorRise has revamped its website and offerings. Here’s the new version of the online app for writers. Analytics – AuthorRise provides analytics that will reveal which tweets trigger engagement among your readers and other followers. You can send your tweets from any Platform, even Twitter, and AuthorRise will still track their performance. Caveat: The only problem with this feature is that you will still need to check your Twitter Timeline to determine exactly which tweet did this. You could also simply refer to your Twitter analytics at analytics.twitter.com. Below you’ll find four of the best posts I read this past week. 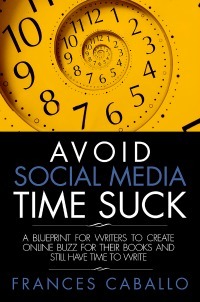 I hope you find these resources for Indie Authors helpful. 7 Profitable Ways To Upsell From Your Digital Products, by Joan Stewart, from The Future of Ink: Shopping at Old Navy? Choose a cute top, and the saleswoman will suggest an adorable infinity scarf to match. Oh, wait! There’s this fabulous chunky bracelet with earrings to complete the outfit. It’s called upselling, one of the most often overlooked ways to make very easy money. 37 Amazingly Effective List Building Tips You Can Use Today by Adam Connell: You need to build your email list if you want to grow your blog. Don’t be the person that keeps making excuses for why they aren’t focusing on building their list. I learned that lesson the hard way but you don’t have to. The truth is that email is far more effective at reaching your raving fans than any other tool. Your 10 Point Website Check Up: Tip #23 of 52 Ways to Market Your Book by Penny Sansevieri: So you have a website, congratulations! Now let’s make sure it’s doing what it is supposed to be doing for you. Read: selling your book or product. While websites will differ in color, layout, and target audience, there are a few things that need to remain consistent. Let’s take a look at them. 3 Things Self-Published Authors Should Know about Their Audience, from BookBaby: Only a few lucky authors can try the let’s-throw-everything-against-the-wall-and-see-what-sticks approach to book promotion. They’re able to cast a wide net because they have access to a big marketing budget and a pro publicity team. And no matter what the topic, or who the intended audience, when a great book gets exposed to tens of millions of readers, thousands of them are sure to be interested. AuthorRise Shows Promise for Indie Writers, from The Book Designer: There’s no point in trying to grow a large following if your readers aren’t engaged with you as an author and the books you write. Analytics helps you to understand members of your audience and learn more about them so that you can enhance engagement on your social media profiles.